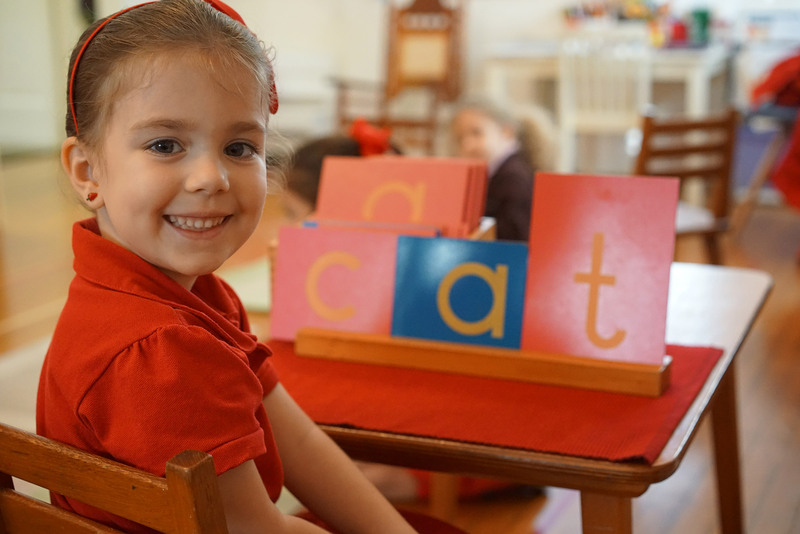 In Montessori education, the children work on their own within a carefully prepared environment. The directresses observes the individual child at work and presents the teaching material to them, in appropriate sequence, giving guidance and encouragement. For the young child, the method begins with practical life exercises, which have the aim of helping the child to grow with independence by performing simple body movements, looking after themselves and their environment, in social relations and in laying the foundations for much of the work that comes later. A Montessori child plays games with words, listening for beginning, middle and end sounds. This moves progressively to a natural “explosion into writing” through word building with a moveable alphabet and then on to reading. The child begins the study of mathematics by working with tangible quantitative materials and progresses gradually to the understanding of the math process. In addition to the mentioned activities, the child has access to geography, science, music, art, and the outdoors. Families are of primary importance in children’s development (the term family may include others besides parents, who are responsibly involved with the child). Because the family and the early child hood practitioner have a common interest in the child’s welfare, we acknowledge a primary responsibility to bring about collaboration between the home and the school in ways that enhance the child’s development. 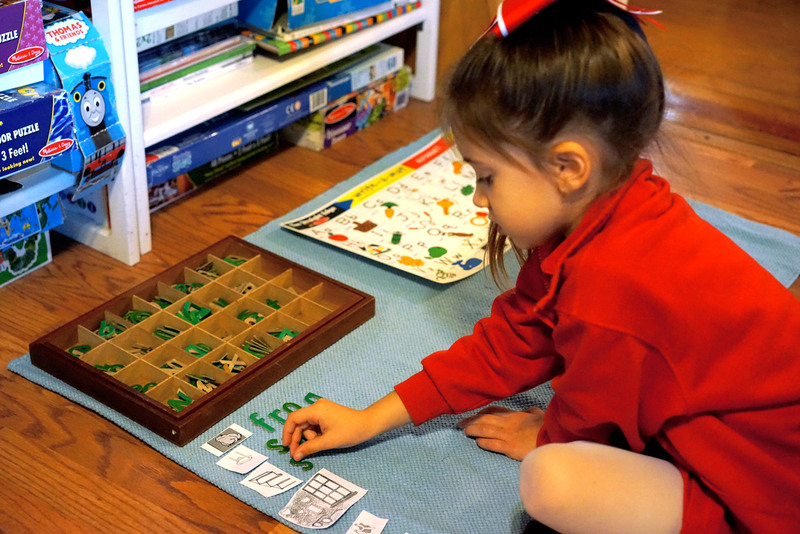 A MONTESSORI child plays games with words, listening for beginning, middle and end sounds. writing” through word building with a moveable alphabet and then on to reading. The child begins the study of mathematics by working with tangible quantitative materials and progresses gradually to the understanding of the math process. In addition to the mentioned activities, the child has access to geography, science, music, art and the outdoors. Sunset Montessori School established in 1978, is located in a beautiful, two-story colonial house on 1 acre of land in the heart of South Miami on historic Sunset Drive. The school has been operating for 40 years and has successfully implemented the Montessori philosophy. Our classrooms are fully equipped Montessori environments that include areas for the development of gross and fine motor skills, care of self and environment, development of senses through multi-sensory materials, language arts, mathematics, geometry, geography, history, physical science, botany, zoology, biology, art, music, and physical education. Our curriculum also includes Spanish as a second language and music appreciation. Each designated area is designed to help the child learn at their own pace with lessons that are matched to each child’s individual needs. This process allows the child to gain self-confidence, independence, physical and social development, as well as academic achievement. 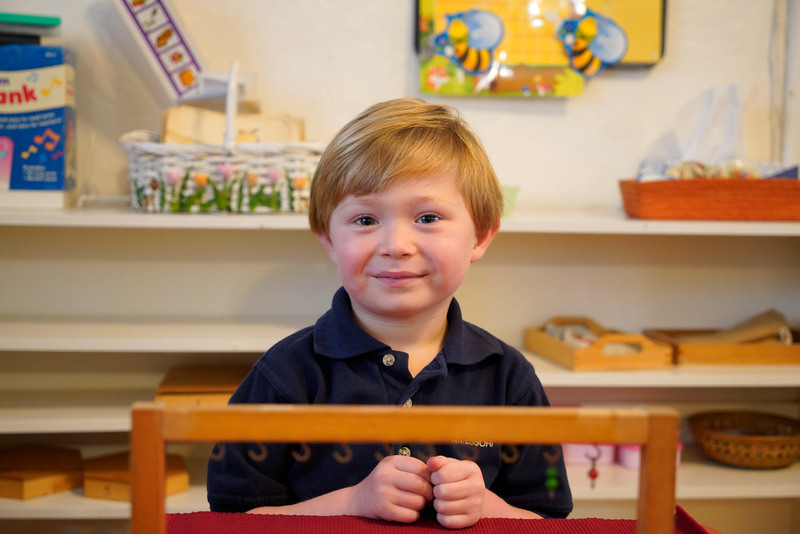 Sunset Montessori School believes that children are individuals with differing needs, interests, and abilities. We are committed to providing a safe and nurturing environment that allows a child to advance at their own natural rate of development. We emphasize self-respect and respect for others.